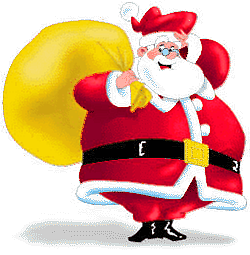 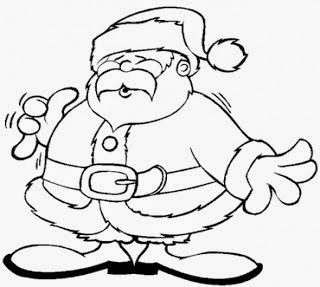 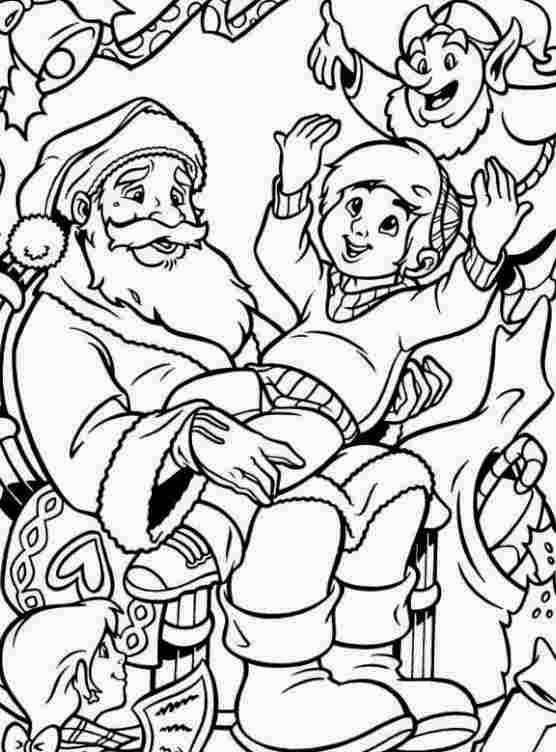 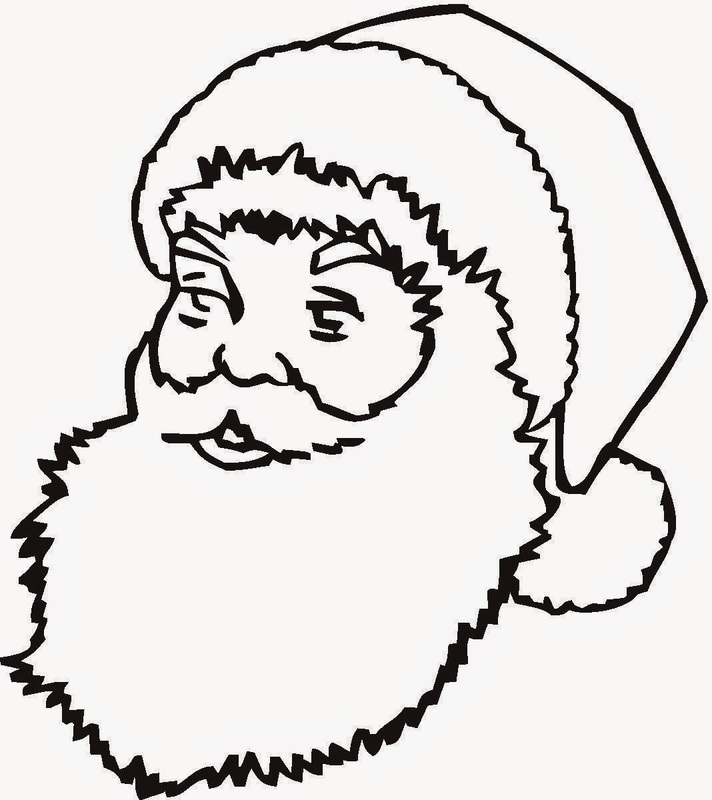 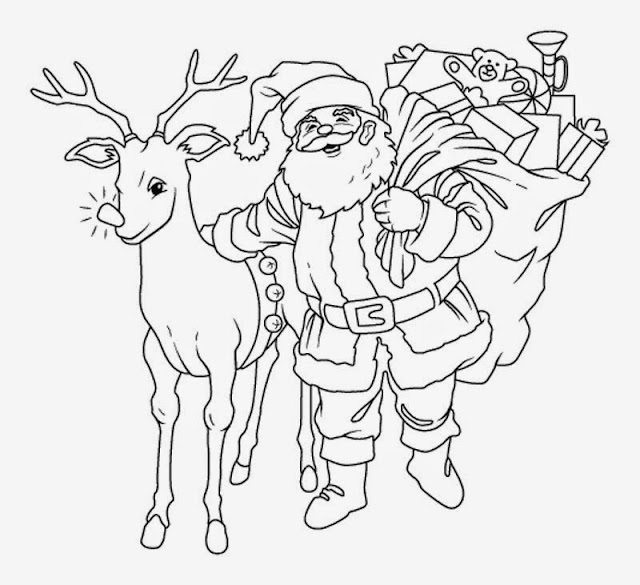 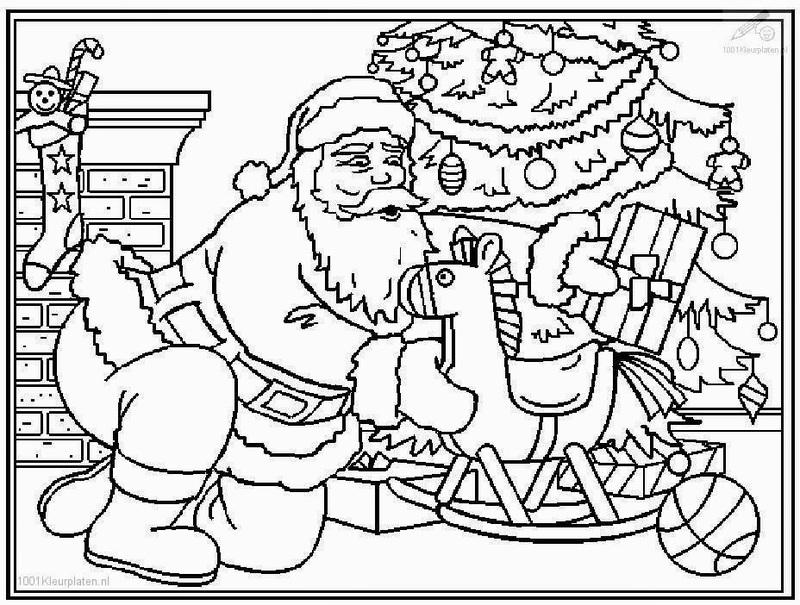 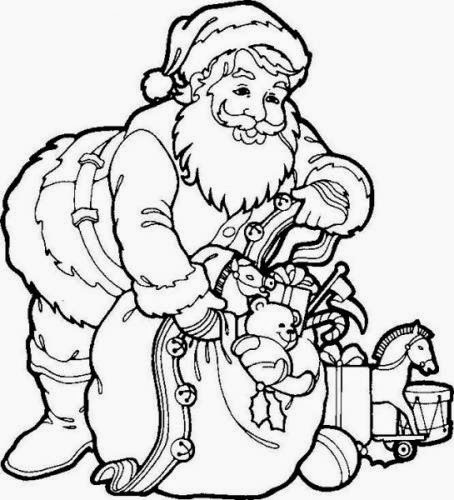 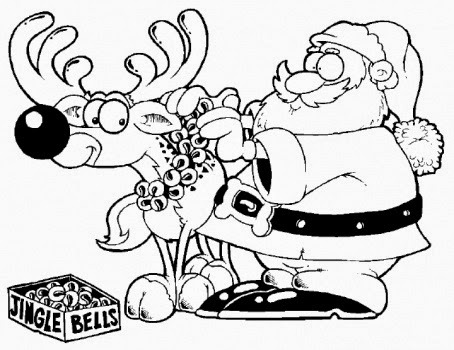 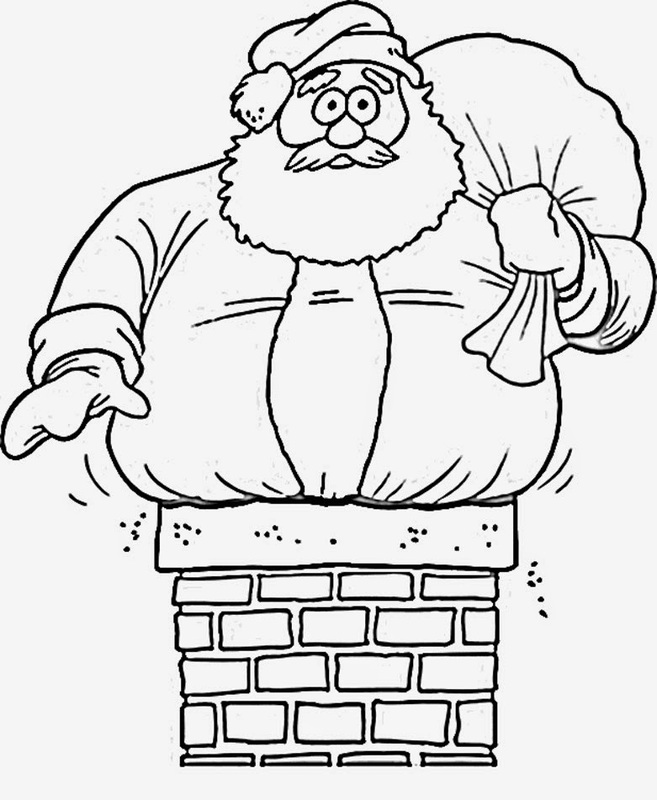 Santa Claus Coloring Pages and Clipart! Santa Claus is the merry old gent living at the North Pole who brings good little children their presents every year at Christmas. 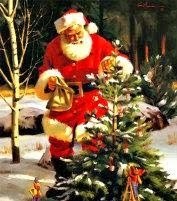 Everybody knows Santa Claus. 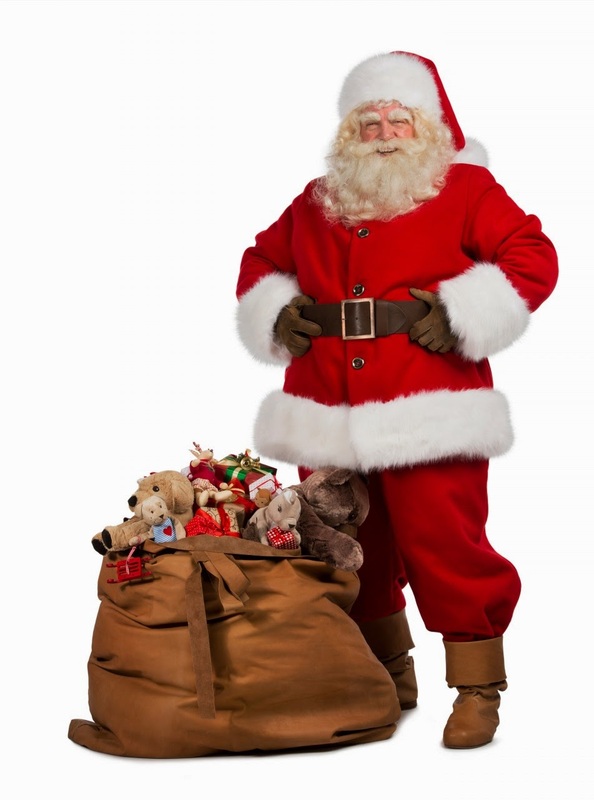 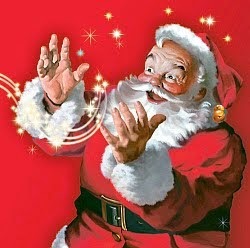 He also is known variously as Saint Nicholas, Old Saint Nick, Father Christmas, Kris Kringle and plain old "Santa." 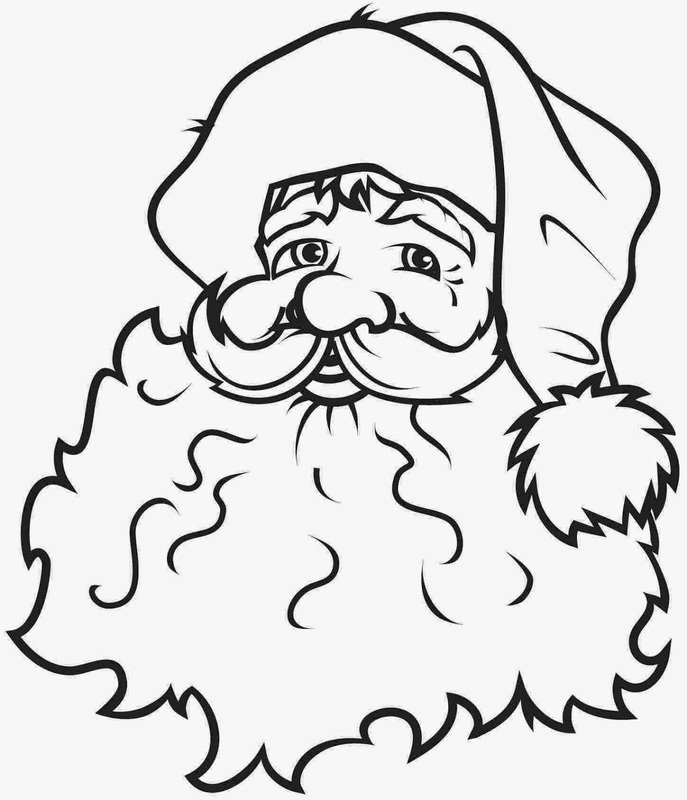 He is a religious, cultural and even historical figure who transcends easy labels. 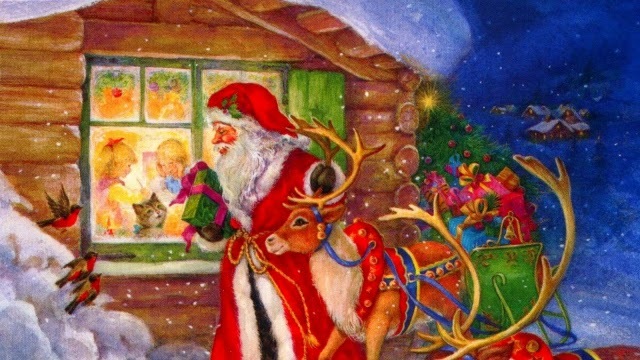 The legend of Santa Claus is perhaps the most enduring and indelible imprint of Western culture upon the world, and it is simply impossible to have hard feelings about Santa Claus. 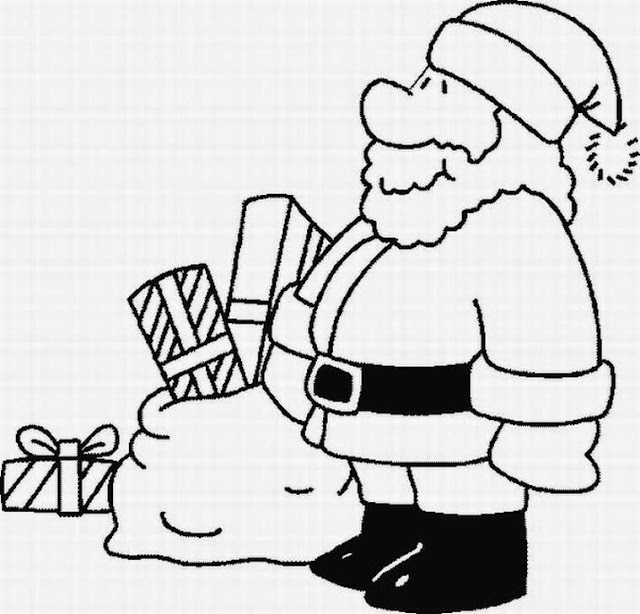 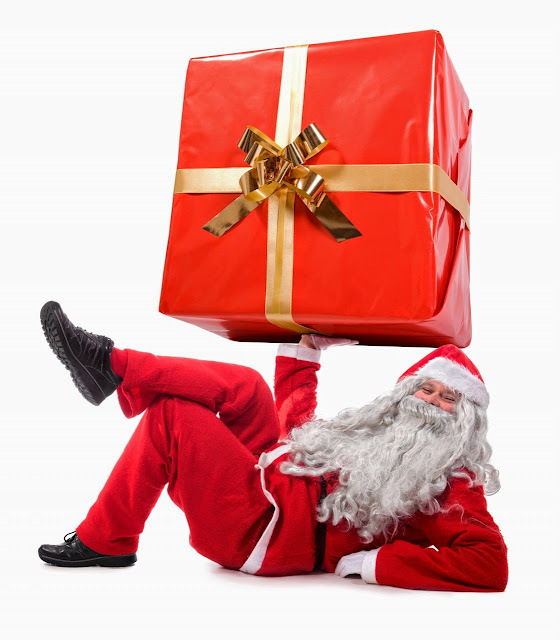 Santa brings gifts to the homes of the good children late on 24 December, the night before Christmas Day also known as Christmas Eve. 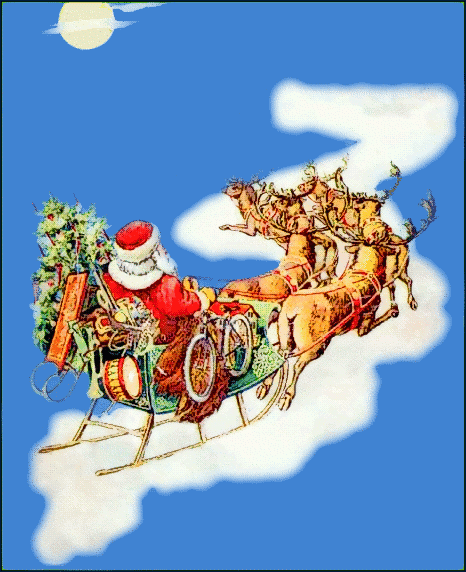 Some European countries switch the date to St. Nicholas' Day, 6 December, which isn't nearly as fun because part of the joy of Christmas is that it marks the end of the old year and the beginning of new one only a week later, providing a continuous period of festivity which overcomes the foul European and North American weather that time of year. 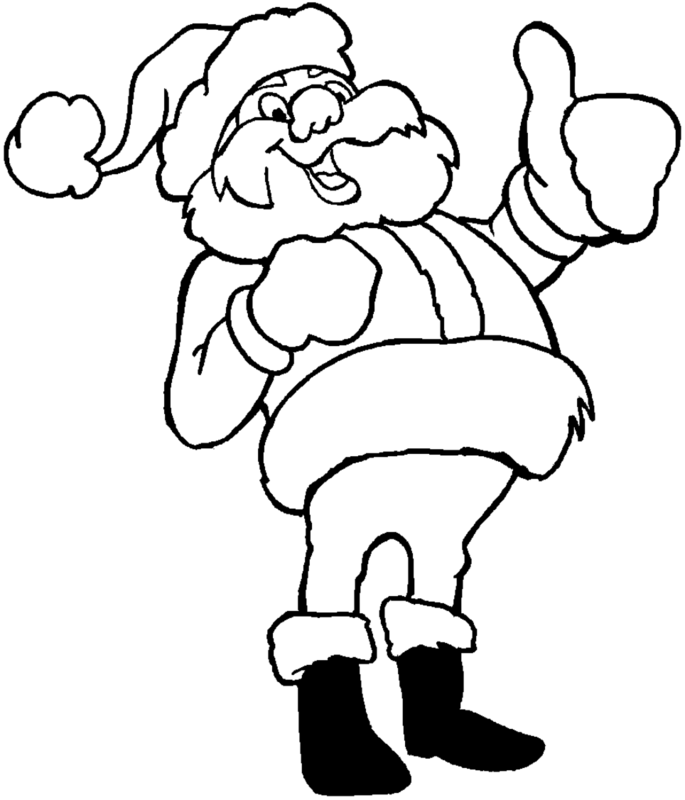 This image of Santa Claus as a jolly, roly-poly figure of fun and merriment became popular in the United States and Canada in the 19th century. 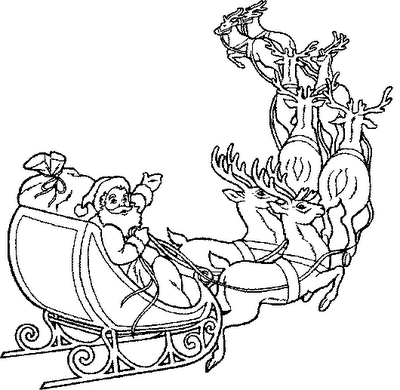 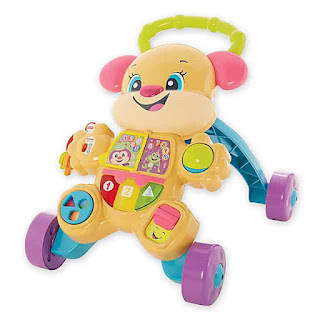 This was helped along by the 1823 poem "A Visit From St. Nicholas," which begins 'Twas the night before Christmas and all through the house, not a creature was stirring, not even a mouse." 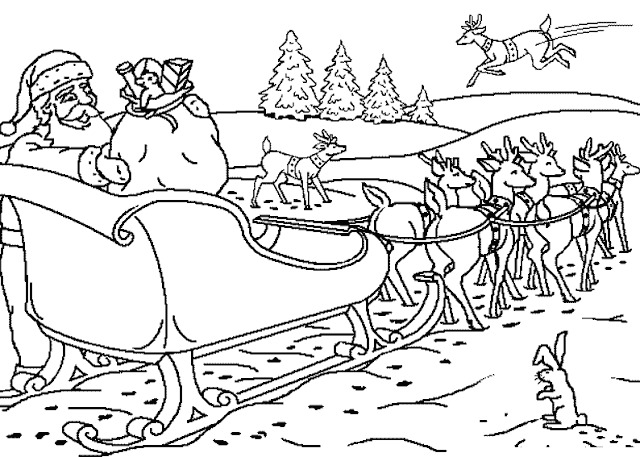 Every child hears that at some point, it is perhaps the most popular single poem in American history. 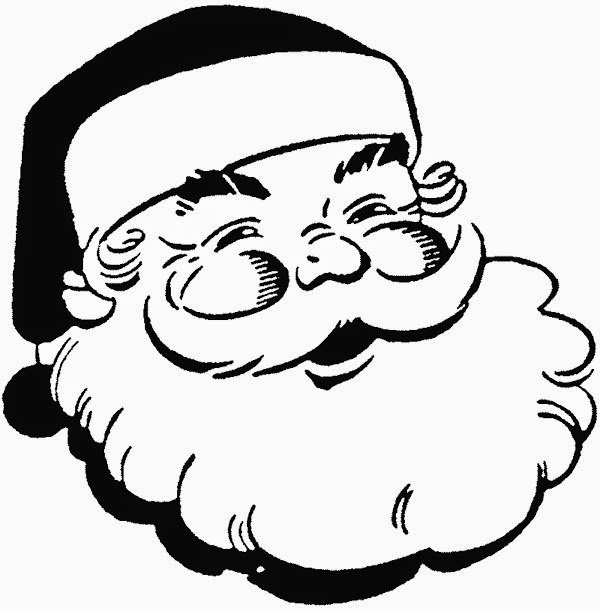 Another unforgettable stamp on Christmas was the editorial, "Is There a Santa Claus?" 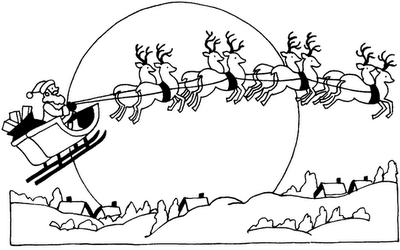 This editorial appeared in the 21 September 1897 edition of The New York Sun. 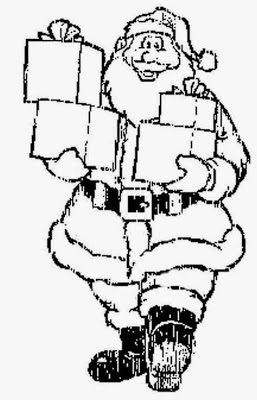 The editorial was written in response to the query of a young girl, Virginia O'Hanlon, and thus has the immortal phrase, "Yes, Virginia, there is a Santa Claus." 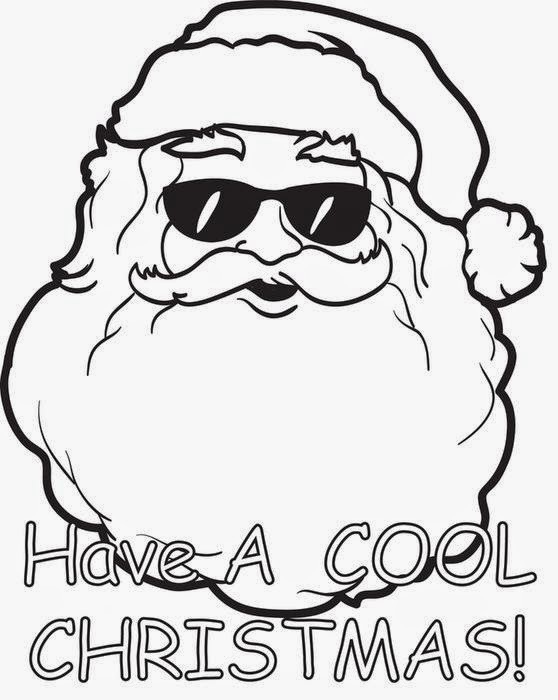 And it's true! 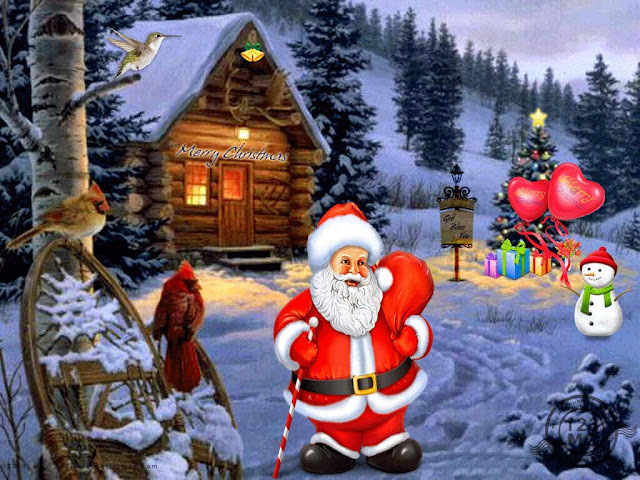 There is a Santa Claus. 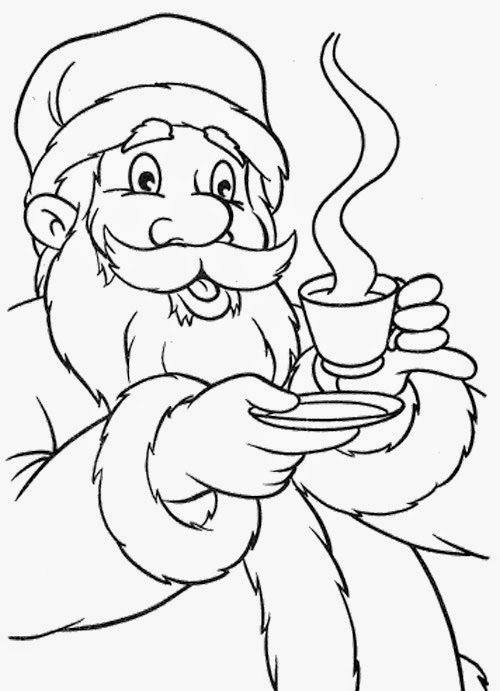 And you can download these free printable coloring pages of the old gentleman right here on this page.